Matebook Group is a multimedia consulting company supplying turn-key computing solutions based upon the latest technology and utilising Web-based applications including marketing. Let us design, develop and maintain. See why we are the clear choice for your tourism or travel website. 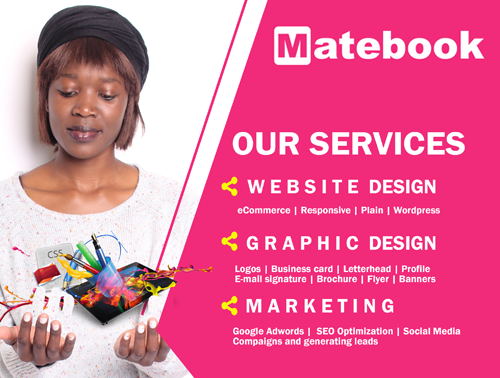 Matebook Group provide you with the following services: Website design, Website redesign, website maintenance, Graphic design, Marketing. Starting from R1300 for website design if you’re a member of the TTA. Hurry and get a free logo and A4 flyer design. Send an email to sales@matebook.co.za or WhatsApp 079 711 3101. Not only are the new flavours delicious, but a portion of the proceeds from the sale of these slabs will go to Goodbye Malaria. Goodbye Malaria is the brainchild of passionate and concerned African entrepreneurs (including Robbie Brozin, the CEO and co-founder of Nando’s) who’d seen the devastation of the disease on the continent and just had to do something about it. They collaborate with world-class partners, including the Global Fund, private organisations, and the governments of Mozambique, South Africa and eSwatini (formerly Swaziland) – a collective known as MOSASWA. These partnerships, as well as the energy, passion and creativity brought to their malaria elimination programme make it all possible. 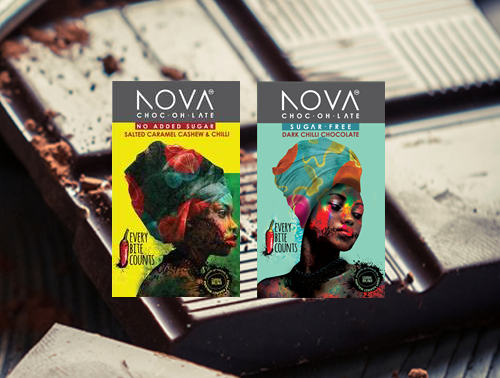 Nova Chocolate is very proud to be associated with names such as Nando’s, Hollard Insurance, Airports Company of South Africa (ACSA), Bayer, Vodacom and Kingsley Holgate Foundation with this initiative. To read more about Goodbye Malaria, please visit their website. Nova Chocolate and Goodbye Malaria will be launching the slabs on 15 April 2019, just in time for World Malaria Day on the 25 April 2019. 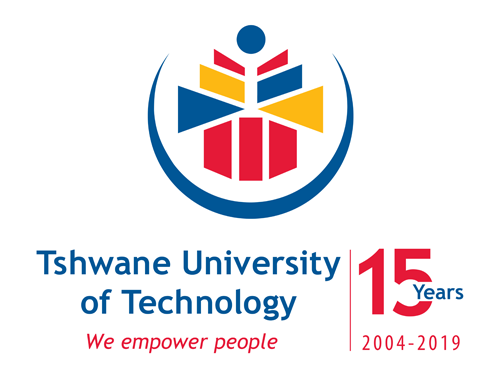 The Department of Hospitality Management at the Tshwane University of Technology offers the hospitality industry an opportunity to accommodate its students with a six months long learning experience. As part of the Diploma programme, Hospitality Management students are required to complete Work-Integrated Learning in the hospitality industry. This will prepare them to enter the hospitality industry better prepared upon completion of their studies, but also ease their transition from university to employment. The Department of Hospitality Management values the hospitality industry’s willingness to assist it in this regard. These opportunities promote self-awareness and career development through the integration of theory and on-the-job experiential learning and provide industry with access to a pool of potential new and skilled employees. If you are willing to assist, please contact Antoinette Roeloffze at roeloffzea@tut.ac.za or 012 382 6505. Manage your sales pipeline, keep track of your customer interactions and never let a deal fall through the cracks. Automated tools and reporting. Remarkably easy to use. Q2B just launched their full CRM Solution into the Reservation Solution. 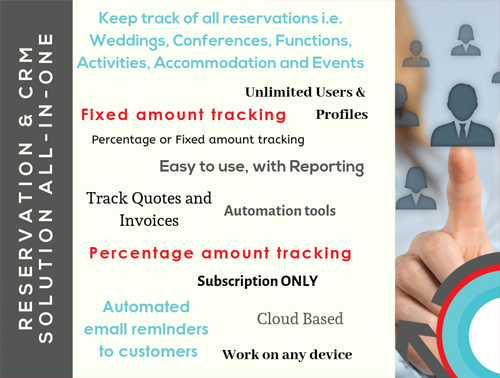 We very excited to offer this to our clients in the reservation solutions with no added costs. For more info contact sales@q2b.co.za.